UPDATE — On Tuesday July 4 2017, the Scottish Criminal Cases Review Commission [SCCRC] confirmed that it has received a new application to review the conviction in the case of Abdelbaset Ali Mohmed Al-Megrahi. Over the last three decades, many experts have come to the conclusion that Megrahi has been the victim of a spectacular miscarriage of justice. In 2007, the SCCRC announced that there were six grounds upon which it had concluded that a miscarriage of justice might have occurred. Let us now hope that the SCCRC will accept the application for a full review of Megrahi’s conviction, often described as “a blot on Scotland’s reputation for fair trials”. Let us hope that the SCCRC will give TRUTH a chance! Here are some of the quotes I have collected over the years. Together they tell an extraordinary story and they should convince the readers that there are indeed “many dark and sinister corners to this atrocity”. The Direction de la Surveillance du Territoire (DST; English: Directorate of Territorial Surveillance) was a directorate of the French National Police operating as a domestic intelligence agency. It was responsible for counterespionage, counterterrorism and more generally the security of France against foreign threats and interference.It was created in 1944 with its headquarters situated at 7 rue Nélaton in Paris. On 1 July 2008, it was merged with the “Direction centrale des renseignements généraux” into the new “Direction centrale du renseignement intérieur”. It acquired its current name in 2014: The General Directorate for Internal Security (French: Direction générale de la sécurité intérieure, DGSI). Yves Bonnet was the DST Director November 1982 to August 1985. 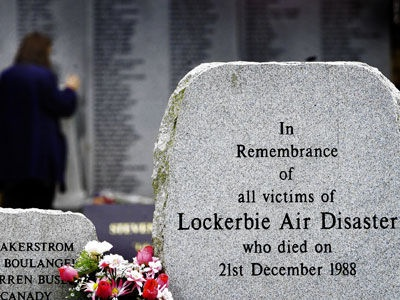 In a recorded interview, Bonnet makes a remarkable allegation: he claims that Libya is NOT responsible for Lockerbie. You know, in French, “La Libye” and “L’alibi” sound the same….